And the good news just keeps coming. 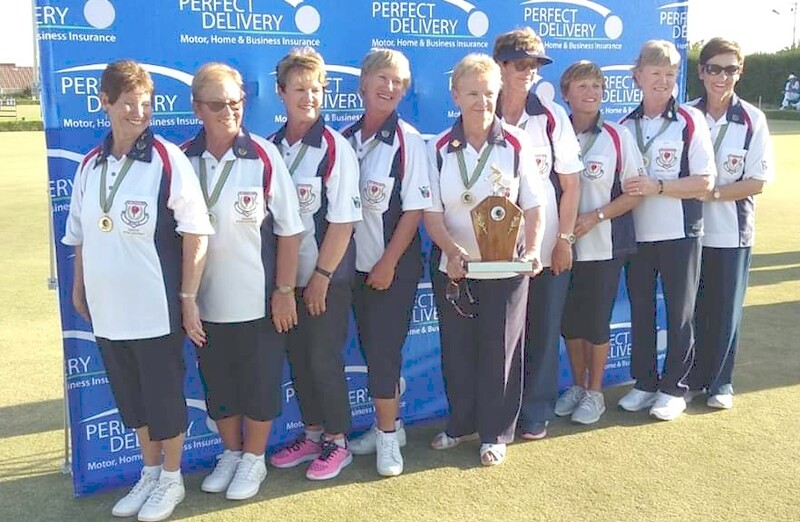 The EKB Inter District Veteran Ladies squad came home with the GOLD. In the team was our own Lyn Vivier. Well done, we are so proud of you! Lyn is second from the right in the photo. This coming weekend sees the Reading Trophy Mixed Fours Tournament with 17 teams entered. If you would like to participate without playing all 3 games, please add your name to the list on the board under “Reserves” and if there are enough players willing to make up the extra team needed, you will be able to select your playing day and time. The tournament commences on Saturday morning 23rd March 2019. The second game will be played after lunch, and the third game will be played the following morning. All three games will be 21 ends. For full details please see the notice board. 2.1 Membership involves obligations. Study your notice boards regularly and see what is expected of you and when it is your turn for club duty. 2.3. Actively support all social functions and competitions organized for your enjoyment and the benefit of the club. This shows appreciation of the efforts put in by fellow club members. 2.4 No club can function without sufficient funds to manage and maintain the facilities. Consequently you are expected to accept your portion of the financial burden and to support fund raising activities.